SugarCRM is a web based customer relationship management software. Its available in multiple versions. 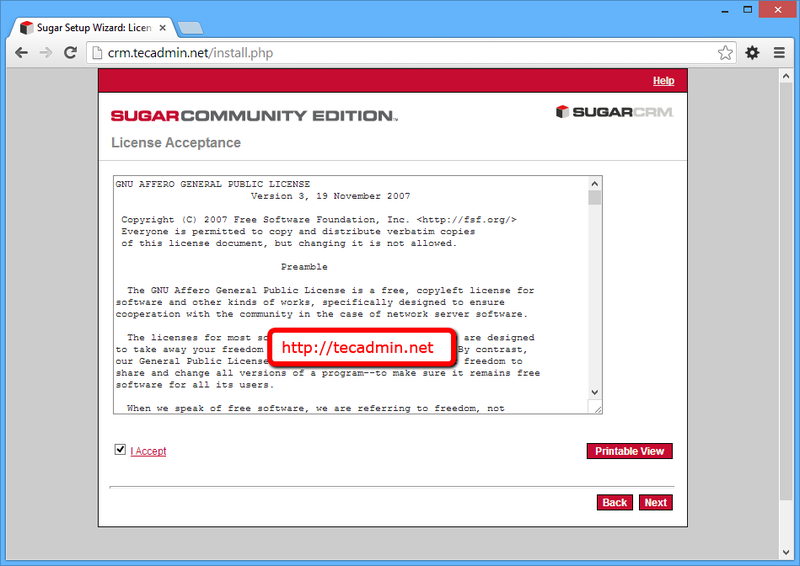 SugarCRM community edition is freely available to download and use. But if you want to use most feature of SugarCRM, You need to upgarde following versions. Click Here to read more about SugarCRM packages and features include in above versions. 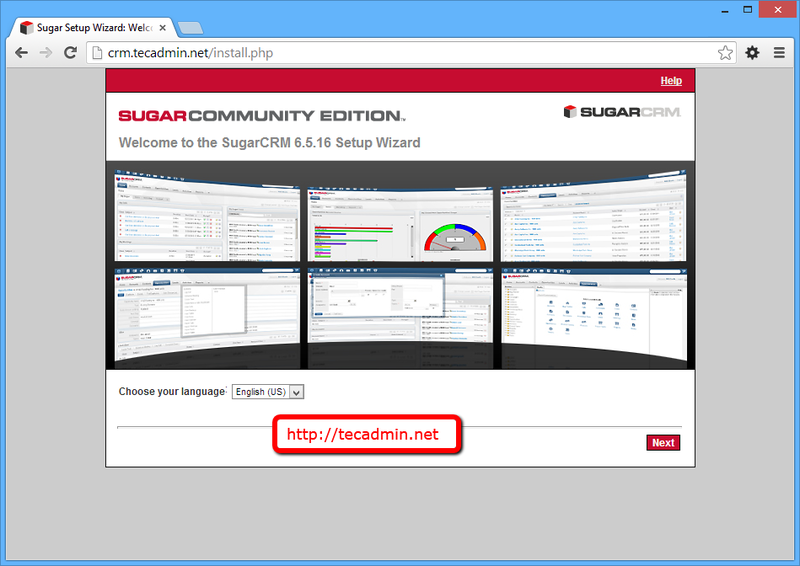 SugarCRM Community Edition is free to use. 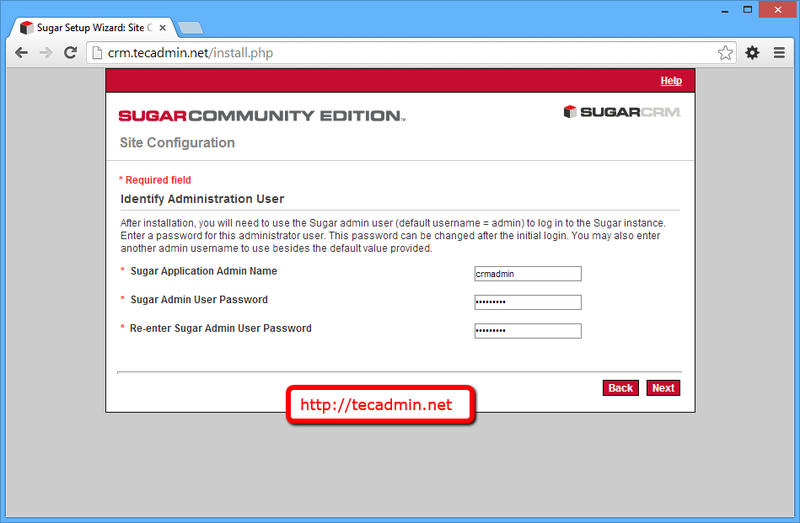 This article will step by step guide you to how to install SugarCRM CE on CentOS, RHEL and Fedora Systems. In order to run SugarCRM application, we need to setup LAMP environment. We assume that you already have PHP, MySQL and Apache installed on you system. If you don’t have use following article. 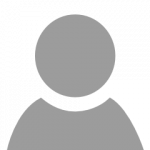 Edit PHP configuration file /etc/php.ini and update following variables. After making above changes restart Apache service to apply changes. 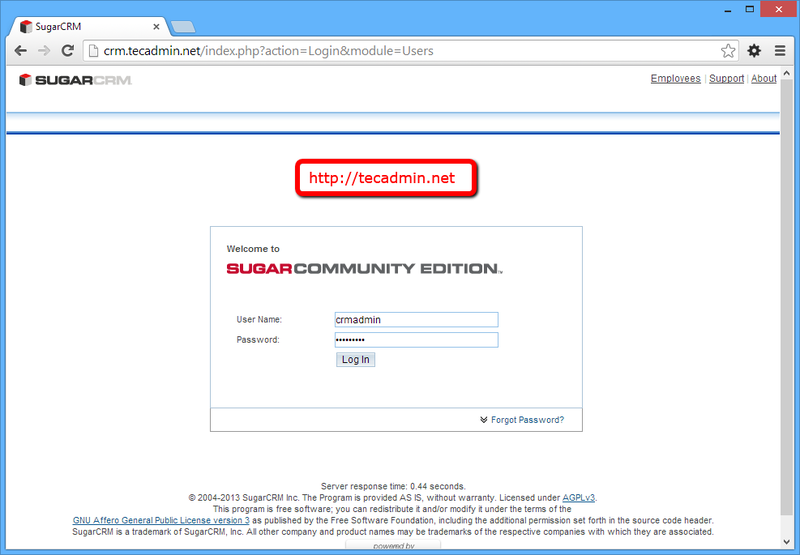 Download and extract latest sugarcrm available version from SugarCRM official site. Edit apache configuration file and create a new virtual host like below. 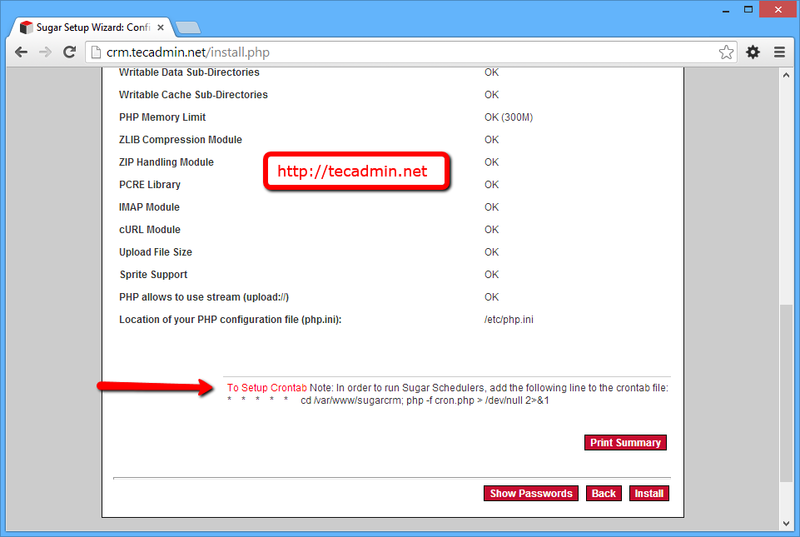 Restart Apache Server using following command. After configuring apache, connect to your server using configured ServerName and following the web installer wizzard to complete setup. 5.5 Select Database Type, You may use SQL Server or MySQL as database (I am using MySQL) and Click Next. In my case SQL Server is not appearing because I haven’t installed SQL Server libraries in PHP. 5.6 Fill the Required Database Details like below snapshot and click Next. 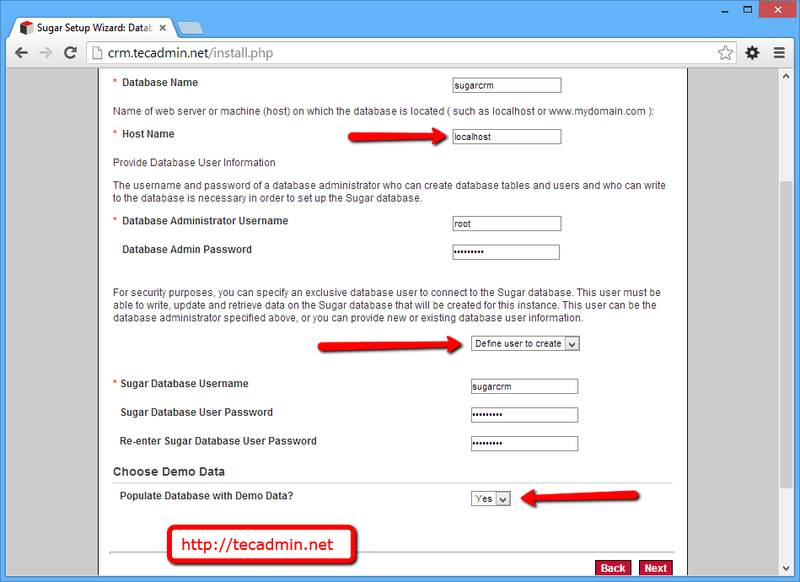 5.7 Fill admin account details to use for login in admin panel after installation and click Next. 5.8 This screen will show you the selection done by you. Also it shows to schedule cron to automate the tasks while using SugarCRM. Now click Install. 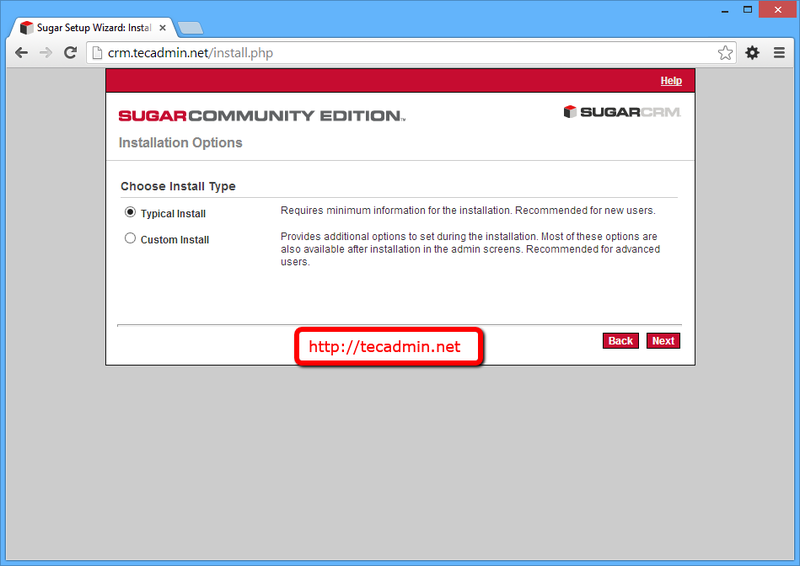 5.9 Now you have installed SugarCRM, Just click Next and you will be redirected to Admin Login screen. 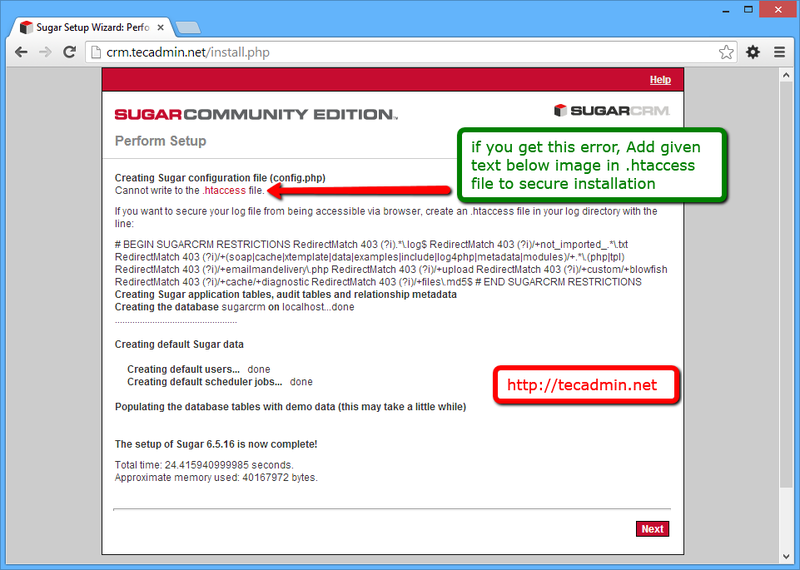 Add below content in .htaccess file to secure your sugarcrm application. Congratulation’s! 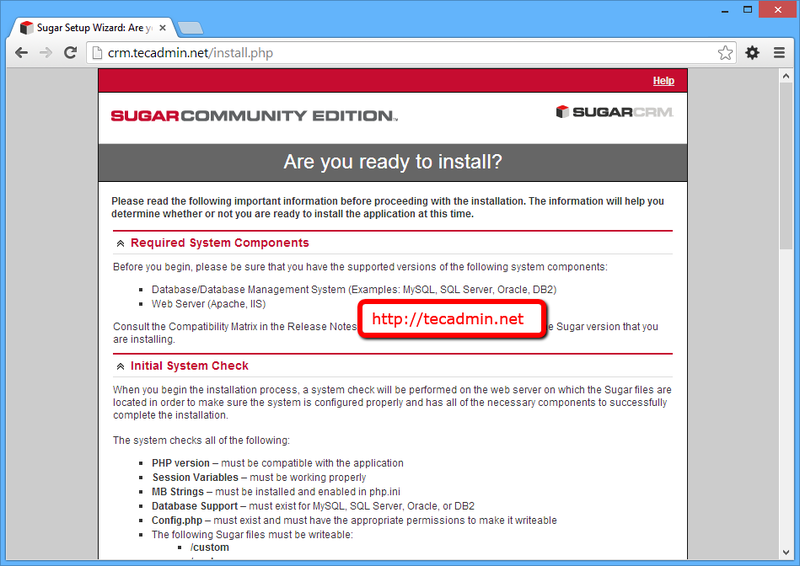 you have successfully installed SugarCRM on your system. Awesome and helpful guide that works!! Thank you very much for writing this doc. It helped me a lot. I intalled SugarCRM successful, but I when to upload a package language or antoher module with ‘Module Loader’ nothing happens. It’s as if nothing has come up. Could be that something was wrong in php configuration or directly in SugarCRM (config.php)?